It isn’t a discarded cuttlefish toy, this Pokemon-like creature is the Rossia pacifica or stubby squid. 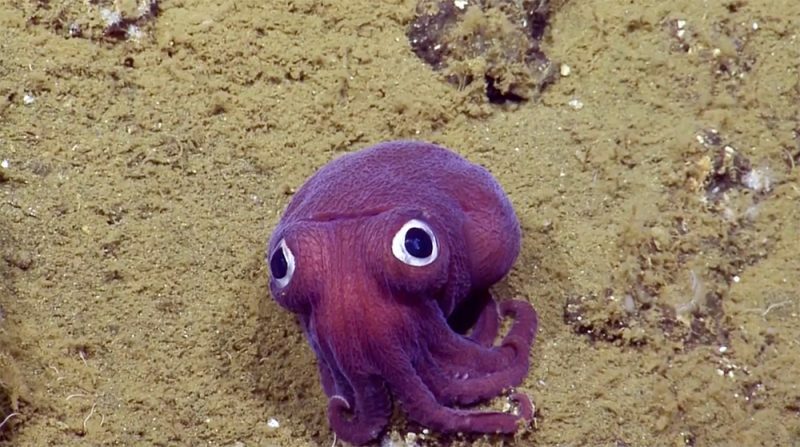 The Researchers of E/V Nautilus found this little guy with comically giant eyes on the ccean floor near the coast of California at a depth of 900 meters (2,950 feet). “This species spends life on the seafloor, activating a sticky mucus jacket and burrowing into the sediment to camouflage, leaving their eyes poking out to spot prey like shrimp and small fish,” said the research team.